After seeing this blog post on Pinterest, I decided to try my hand at something I considered actually "crafty" (meaning, it had more than 3 steps in the process). I decided I didn't like the decoupage approach (I don't have that much patience) and took the spray paint route (which ironically probably took longer in the end). 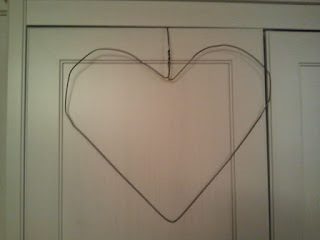 To do this project, I needed: 2 wire hangers, 24 clothespins, 4 cans of spray paint, tooling, and a giant work space (aka our living room floor). 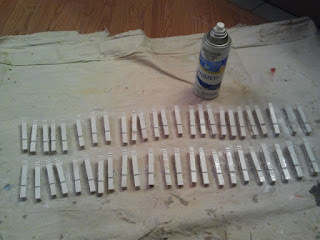 wait for them to dry in between. 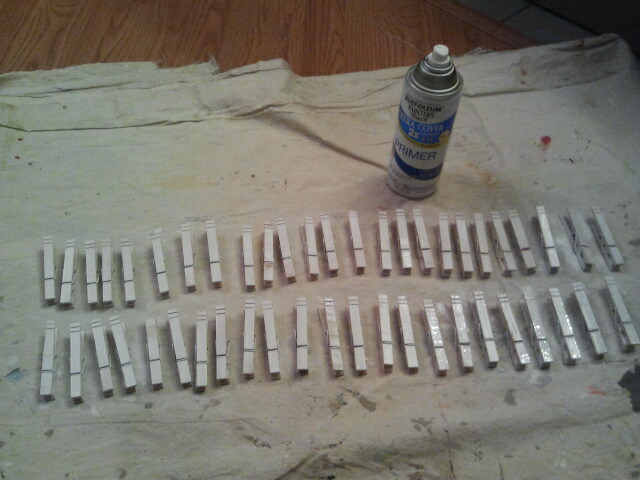 But spray painting sure is fun! 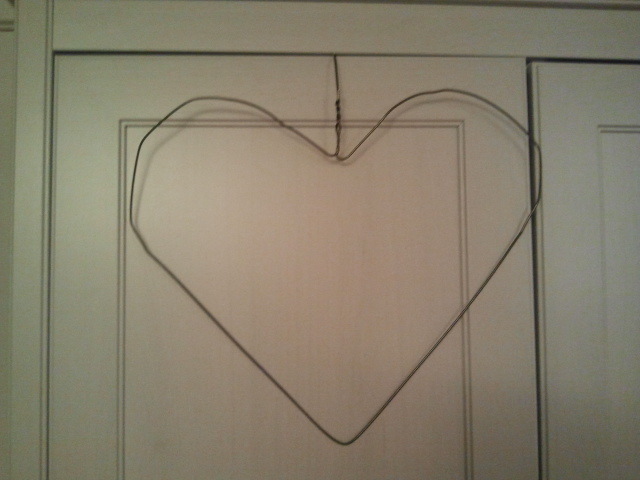 This is a wire hanger that I just bent into the shape of a heart. you couldn't see the wire part. as it involved cutting wire, which I'm not keen on. This was the fun part! 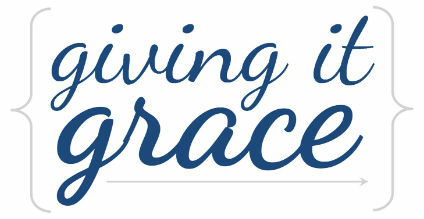 something "more" to grab on to. More on the heart frames next. 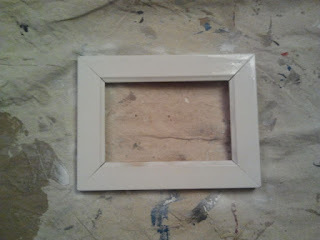 I don't consider the heart frames a "craft" because it involved three steps. Anything three steps or less I just consider "decor". Only I would differentiate, I know. with glass, which was perfect for this decor project. showing the frame with primer on it). bulbs at Ikea last year as a part of a Christmas ornament package. The tooling was left over from our wedding. Finally - the before and after photos!